We were thrilled to help this set of grandparents celebrate their grandbaby boy! Let Sandhills Baby and Birthday Signs help you celebrate your new baby’s arrival with a stork sign or other birth announcement lawn sign! Call us at 910-723-4784. 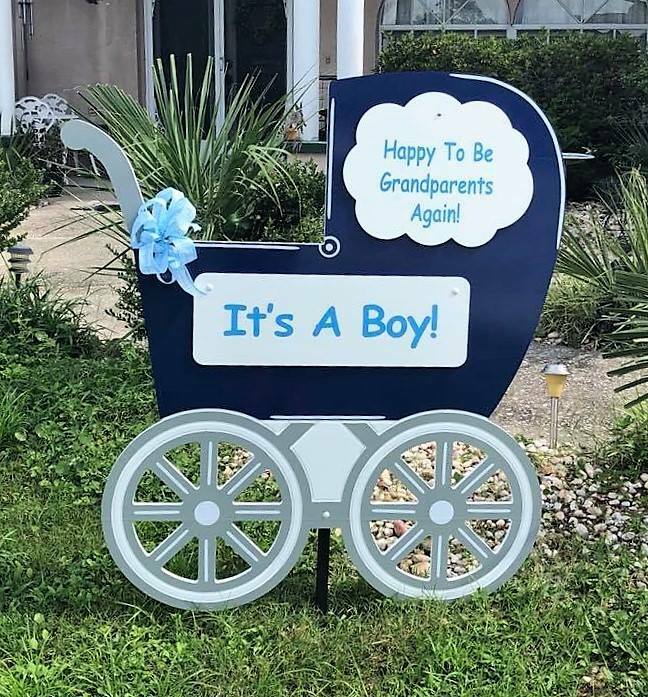 We proudly deliver birthday yard signs and birth announcement stork signs throughout Cameron, Carthage, Apex, Sanford, Fayetteville, and Aberdeen/Southern Pines areas. Follow us on Pinterest, IG, and Facebook!